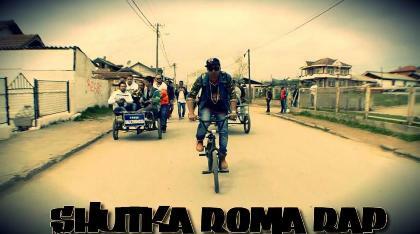 Shutka Roma Rap at Womex 2012 etc. 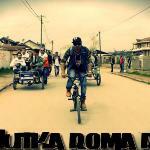 Since the early nineties, youth in urban Roma communities around Europe have been creating a new, non-conformist identity for themselves by adapting hip-hop culture to their local environments. 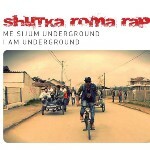 One of the hotbeds of the movement is Shuto Orizari, also called Shutka, a suburbian area about five kilometres from Skopje with about 40.000 Roma inhabitants. 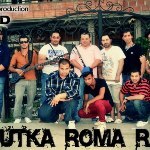 Shutka Roma Rap is a collective of young artists that evolved into a band after the success of a 2010 compilation album featuring the top rappers from Shutka. 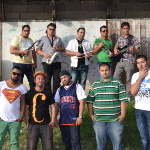 The distinctive and diverse personalities of the front-line posse, consisting of elegant Al-Alion, punky leather-clad Error, generously proportioned Fet Joe, new teenage sensations Kay One & Nusret and dirty thrashers Mali & Taki, are propelled forward by a coruscating Roma-funk combo comprising sax, clarinet, trumpet, bass and drums. Provocative, rebellious, proud, loud and here now.